On this day, over a century ago, Thomas “Fats” Waller was born to Adaline Locket Waller, wife of the Reverend Edward Martin Waller. At the tender age of only six years old Fats began to play the piano which later led to his mother teaching him classical music on the organ of his father’s church. Fats, being the colourful character he was, wanted to play more than just classical pieces, and took on the task of teaching himself to play Jazz, the music of the time. In 1918 he won a talent contest playing “Carolina Shout” a tune by iconic stride pianist, James P. Johnson, which he learned from watching a pianola (a self playing piano) play the song. James P. Johnson later took on the task of becoming Fats’ mentor after hearing him play the pipe organ. Not long under Johnson’s direction, did Fats’ skill on the piano begin to flourish. With Fats’ greatly improved skill as a pianist, Johnson introduced him to his first Harlem rent party. Much of Waller’s success can be contributed to the exposure he got from playing at rent parties where tenants who were having trouble making their rent would open their apartment doors and charge a fee to see Fats perform. Fats was one of the most popular performers of his time receiving great critical and commercial success with famed pieces such as “Honeysuckle Rose”, “Ain’t Misbehavin'” and “Squeeze Me”. With his great fame came great danger. After leaving a performance in 1926 Waller was forced into the back of a car at gunpoint where he was driven to the Hawthorne Inn where he was lead inside and sat behind a piano and told to play. Waller began to ease a little upon realizing that the intention wasn’t for the gunmen to kill him, but instead to have him perform as a “surprise guest” at their boss, Al Capone’s, birthday party. Fats Waller continued to entertain enthused audiences throughout the 30’s and early 40’s until his unexpected death at the young age of 39. He died of pneumonia on Dec 15, 1943 somewhere near Kansas City, Missouri while he was traveling by train. December 15th is Notable as it is the Date When Two of the Greats of Jazz Died. 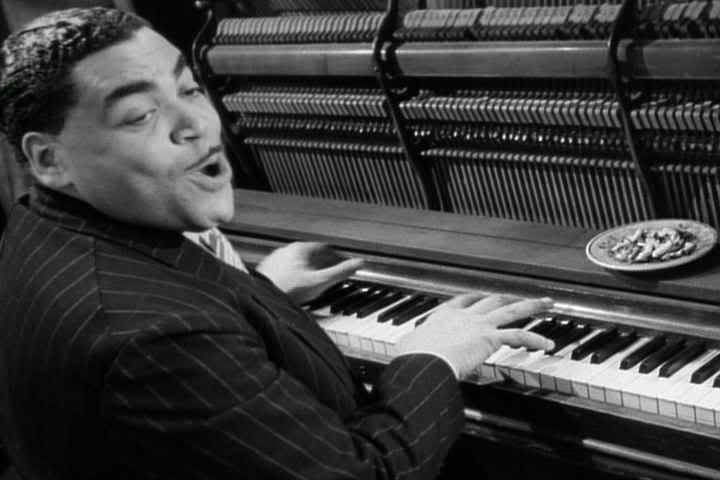 On December 15th 1943 Jazz Pianist Thomas ‘Fats’ Waller was on a cross country train journey across America when he contracted pneumonia. Just before arriving in Kansas, Missouri Fats passed away. News of his death spread quickly to the station where by chance Louis Armstrong was waiting in another train. T is reported that Armstrong was distraught after hearing the news and wept for several hours. One year later, Glenn Miller boarded a flight at an RAF base in Clapham, England bound for Paris. He was on his way to entertain the troops who had just liberated Paris from occupation. It is believed that the plane went down somewhere over the English channel although no wreckage or bodies were ever found. This has led numerous conspiracy theories to surface about his death and its causes.